A healthy start is what every 1 needs. An a smoothie is always welcomed. 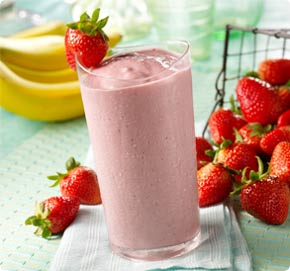 1/2 cup low fat milk(if u like ur smoothie more liquidy add more milk 2 bring it 2 ur consistency). Blend into a smooth drink. Chill for 1/2 an hour then pour in individual glasses or in a jug and serve chilled. Just before serving top each glass with ice cream & mint leaves. Hi Bunty & Farah & thanks 4 appreciating. U can add sugar instead of honey if u r not in such a healthy moon, enjoy & cheers. Every since I ended up with high BP at an early age, I am looking for healthier options. It has become my daily breakfast. Thanks a million.